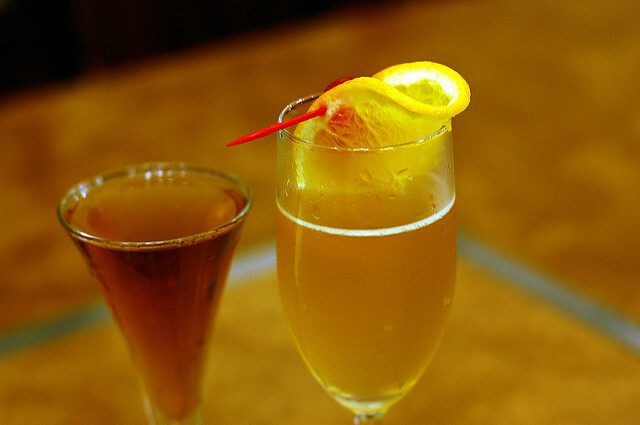 This article is part of our special report Party smart: The battle against excessive drinking. ‘Responsible Party’, an awareness-raising campaign against the excessive use of alcohol, has helped students consume less alcohol and improve their habits by drinking water too, a study has found. The reduction of alcohol use was not enormous, but it is a positive first step. The European Commission welcomes the initiative but says public health NGOs should also be involved. Responsible Party is a Pernod Ricard commitment as a member of the European Commission’s Alcohol and Health Forum, which brings together a variety of stakeholders in an effort to reduce alcohol-related harm. It is the first EU-wide alcohol prevention programme implemented by the Erasmus Student Network (ESN) with the aim of promoting “Responsible Drinking”. Volunteers are informing students about the harmful effects of alcohol overconsumption at parties as well as distributing water for free. The ESN is a network of around 550 member associations covering around 1,000 local campuses in 40 different countries. A recently published evaluation report focused on the drinking habits of European students as well as the effects of the Responsible Party campaign. The survey was conducted in the period August 2016 – July 2017 in two phases: one before the exchange programme and another six months later, both for Erasmus and local students. According to the results, students who had begun or planned an exchange stay drank on average larger amounts of alcohol compared to local students. Larger prevalence of harmful consumption (AUDIT) and binge drinking were also marked. As for binge drinking, the results showed that 67.5% of students are not binge drinkers, 14.5% had moderate binge drinking habits while 18% had intense consumption. As far as the AUDIT score is concerned, more than 40% are in the severe ‘red zone’ and 2.8% indicated a possible dependence. Students mainly consumed beer (42.7%), wine (26.5%) and spirits (16.6%) while men drank significantly more than women. 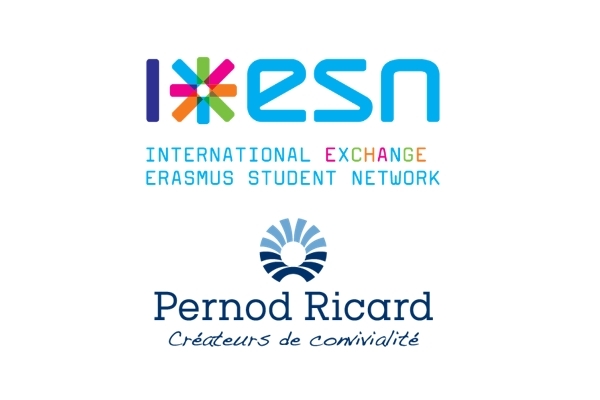 The Erasmus Student Network has been running a campaign across Europe, supported by French spirits maker Pernod Ricard, with the aim of convincing students to adopt a “responsible” stance towards alcohol when going out to party. The second part of the survey mainly focused on the impact of the Responsible Party (RP) campaign on students at parties. Some 46% of the students said the prevention programme proved quite helpful and 42.8% partly agreed. The survey emphasised that a “slight decrease of alcohol consumption” during the RP events was reported by students suggesting an “encouraging impact” of the campaign’s prevention messages. In addition, a modification of alcohol-related behaviours was also noticed as, for instance, students drank more water, which the vast majority found quite useful. The report also noted that a decrease in both AUDIT and binge drinking scores were observed between the start and the end of the academic year, mainly for those students who attended RD events. Overall, the campaign does not change students’ behaviour in the long run but during parties: they drink more moderate amounts of alcohol, which has a positive short-term effect and is considered a “first step”. Contacted by EURACTIV, the European Commission said that awareness-raising campaigns about the harmful effects of alcohol are not among the most effective measures to reduce alcohol abuse. The Commission also stressed that any level of alcohol consumption can have harmful health effects. But in this case, it did recognise some positive features that go in the right direction. “The evaluation of the Responsible Party initiative concludes that some of its elements could be considered for other similar initiatives – for example, the fact that the campaign was unbranded and that its evaluation was carried out by an independent third party,” a European Commission spokesperson said. The EU official noted that the participation of a student organisation was not enough and recommended that public health organisations also get on board in designing similar initiatives in order to ensure that the campaign messages address the relevant public health objectives in the most effective way. In June 2015, twenty public health NGOs pulled out of the European Alcohol and Health Forum (EAHF), a stakeholder platform aiming to develop strategies to fight alcohol abuse. The NGOs, most of which receive EU funding, decided to abstain from the platform in protest against the European Commission’s refusal to submit a new alcohol strategy, which formally expired in 2012. The European Commission is exploring ways to bring back health organisations to its alcohol policy forum, in light of recent reports suggesting a decrease in underage drinking across Europe. The alcohol industry is supportive of the initiative and pledges to do more. The spirits industry (spiritsEUROPE) told EURACTIV that since the launch of the European Alcohol and Health Forum in 2007, the spirits sector has funded over 440 initiatives in partnership with the local level to help reduce alcohol-related harm. “It is the combination of well-designed prevention and awareness campaigns, with adequate legislation and most importantly enforcement, that leads to societal changes. However, changing attitudes and behaviour takes time and can only be achieved through a united effort, on a common objective,” Laure Alexandre from spiritsEUROPE commented, referring to the Responsible Party initiative. “We recommend to all our federations and member companies to adopt a similar design when they decide to engage in harm-reduction initiatives, be it to address underage drinking, binge drinking, drink driving or setting up training programmes for retailers and bar staff,” she added. The EU brewers agree and they similarly back initiatives to promote responsible beer consumption. For Jan de Grave, director of communications at Brewers of Europe, a promising example comes from Denmark. The Danish Brewers’ Association spearheaded the establishment of an “Alcohol Partnership”, supported by the Danish Ministry of Health, as a way of helping to reduce harmful alcohol consumption and postpone the age when young people start drinking. “Their 2015-2016 campaign successfully reduced the percentage of minors who buy alcohol illegally in stores,” he emphasised. But for the NGOs, this kind of campaign is just another means of product promotion. “When the industry is involved in awareness-raising campaigns, it is difficult to differentiate between the ‘drink responsibly’ messaging, and promotion of the product,” Mariann Skar, secretary-general of the European Alcohol Policy Alliance (Eurocare), told EURACTIV. Skar explained she was not aware of the details of the agreement and could not identify the “driving force” behind this campaign.